Globe has announced that the upcoming HTC One with LTE variant will be exclusive offering to its subscribers. It will be available at Globe’s My Super Plan 999 with monthly cash out of P500 for 24 months. Plan 999 will have unlimited LTE or mobile data with peso value amount that can be converted into consumable calls and texts. HTC Blinkfeed – allows you to view your favorite apps with HTC’s live home screen – anytime, anywhere. HTC UltraPixel – enables you to capture life more than just a photo with its one-press continuous shooting, VideoPic, and a camera that captures 300% more light. 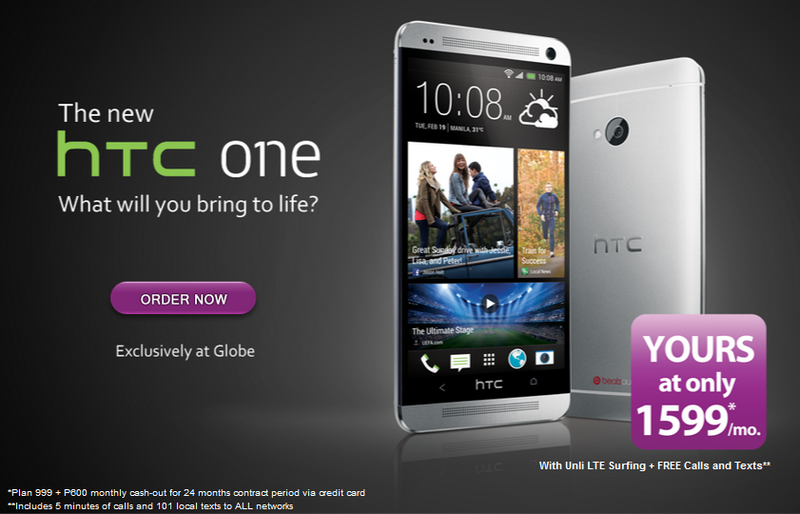 Globe has already set up its preorder page for HTC One LTE. Click here.